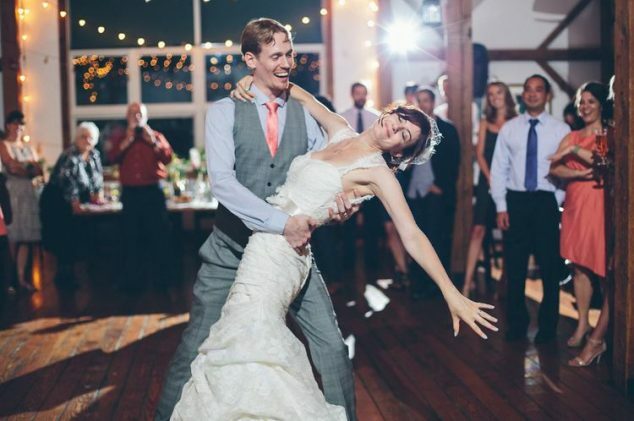 Choosing the first dance at your wedding is a big decision to make. It’s one that many couples agonise over. The time-honoured tradition of newly-weds taking to the dancefloor for the first dance is one that most wedding receptions still follow. David and Victoria Beckham chose The Starlight Orchestra It Had To Be You. Barack and Michelle Obama went with Stevie Wonder’s You and I. Jay Z and Beyonce plumped for their very own Crazy in Love. This Cole Porter tune from 1936 was originally featured in the musical Born to Dance and was nominated for an Academy Award for Best Song. Of course, it is best known as one of Sinatra’s signature tunes. He first performed it in 1946 and recorded several different versions over the years – including a duet with U2’s Bono! If you want the perfect dance to fit the tune, it’s quickstep. Written in 1954, the song began life as In Other Words. Peggy Lee performed the song on The Ed Sullivan Show in 1960 popularising it greatly. She convinced the writers to make the name change. In 1964 Ol’ Blue Eyes stepped in and recorded the song for his seminal album It Might As Well Be Swing, accompanied by the legendary Count Basie Orchestra. Fly Me To The Moon was immortalised further still when the Sinatra version became the first song to be played on the moon itself – on a portable cassette player held by Apollo 11 astronaut, Buzz Aldrin. Foxtrot is the obvious dance for the tune. A song written specifically for Sinatra and featured on his album of the same name released in 1958. It fits the mood of a wedding perfectly with its lyrics promising adventures in exotic locations. It became a concert staple of Sinatra’s for years to come. It’s also been recorded by countless other artists and featured in several films. Again, the foxtrot is its perfect accompaniment. Of course we could go on and on: Mack the Knife, It Could Be You and more. There are so many! Silk Street Swing can perform these swing classics and many more at your wedding. For other wedding entertainment options, check out Silk Street.